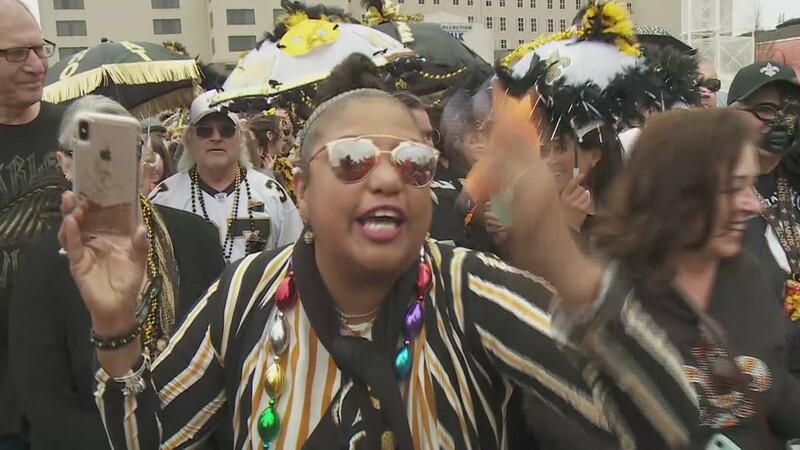 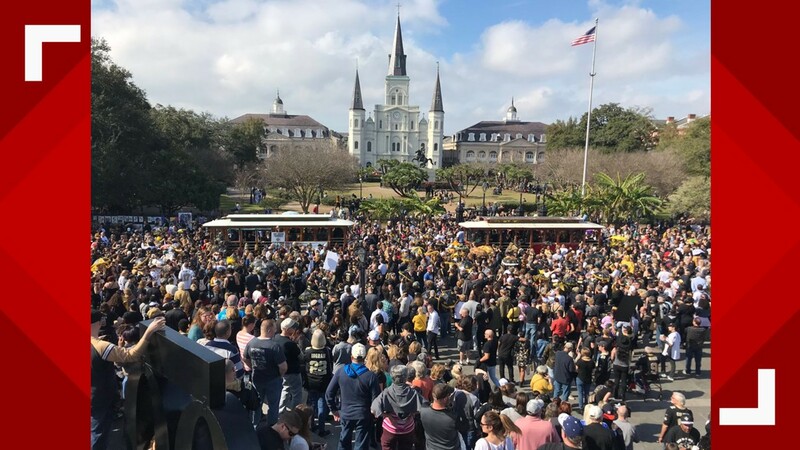 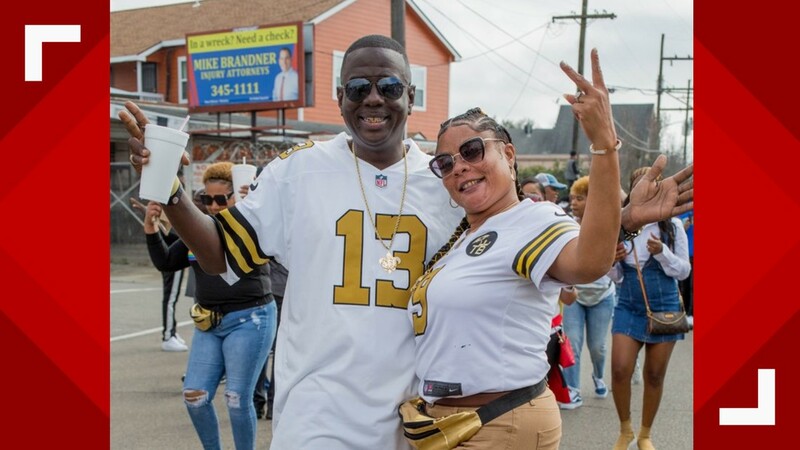 Saints fans gathered in the French Quarter on Sunday for the a second line to boycott Super Bowl LIII (photo courtesy of Michael DeMocker). 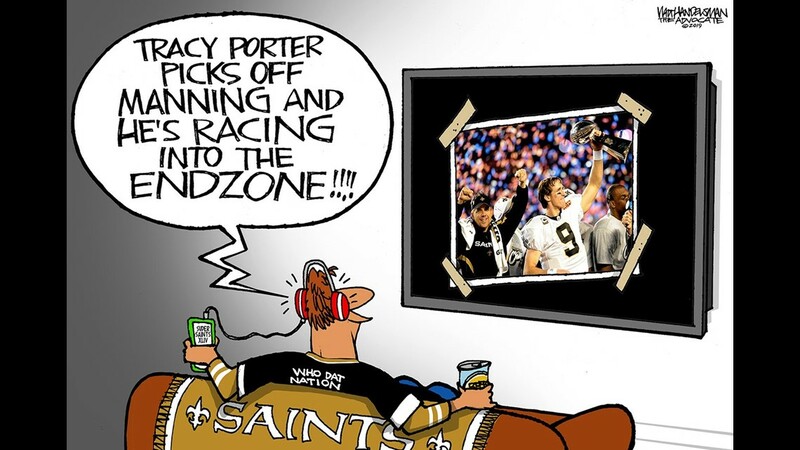 An editorial cartoon created by The Advocate's Walt Handelsman. 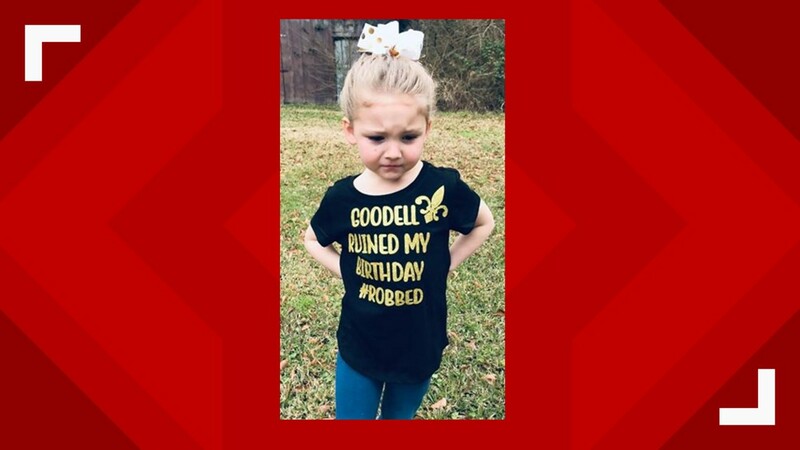 A custom t-shirt and the look on this little Saints fan's face said it all (photo courtesy of Brittany BC). 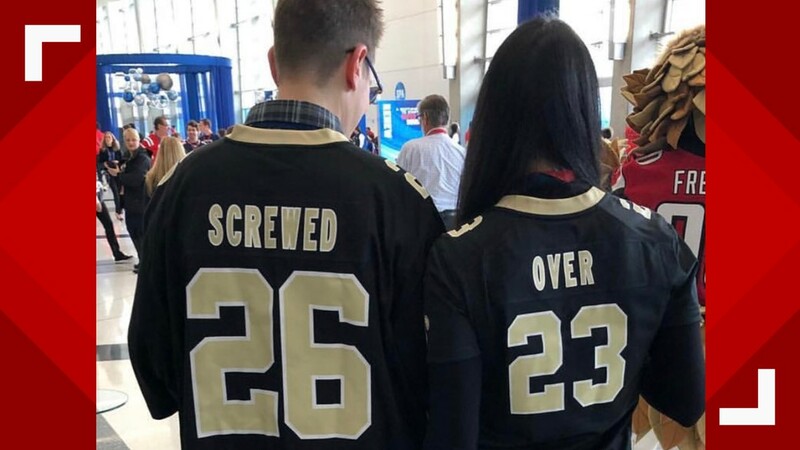 A couple of Saints fans attending Super Bowl LIII in Atlanta didn't hide their feelings about who they think should be playing (Photo courtesy of Darren Rovell). 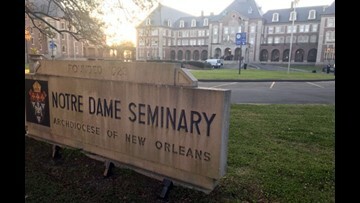 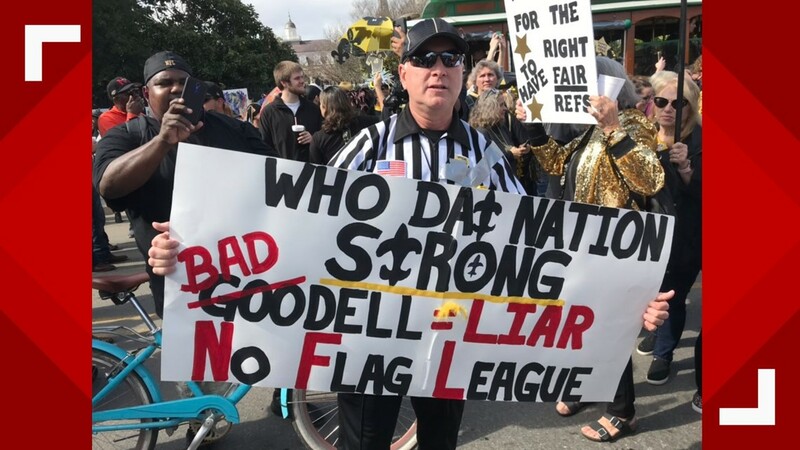 Saints fans gathered downtown Sunday afternoon to vent their frustrations ahead of Super Bowl LIII (WWLTV photo). 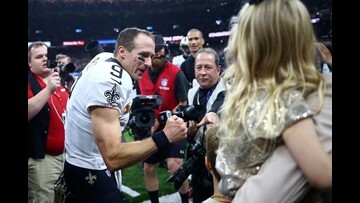 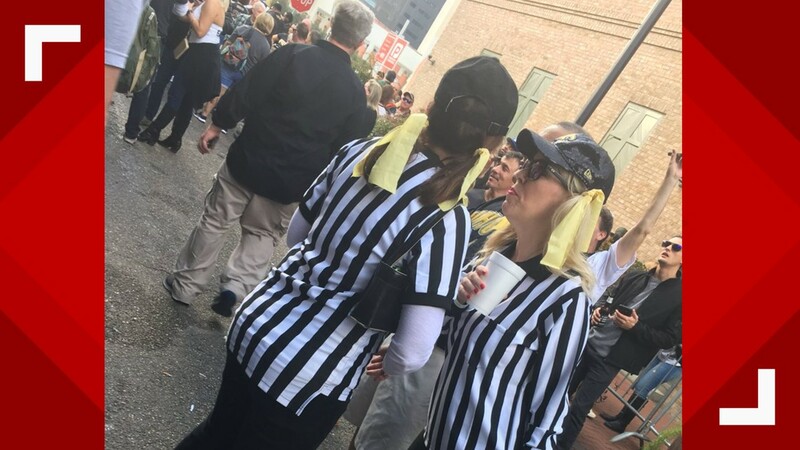 One Saints fan dressed as an NFL referee gets creative with his criticism of the league (photo courtesy of Nola.com Saints News).